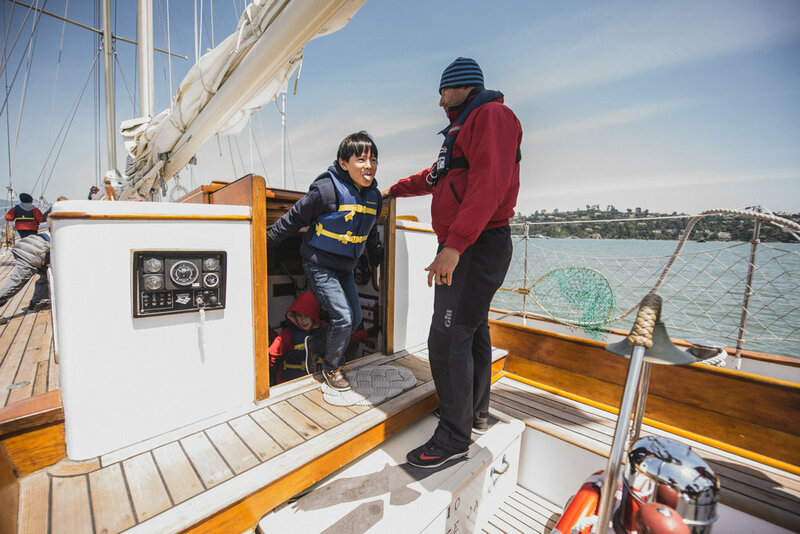 Call of the Sea is an educational nonprofit organization that utilizes a traditional sailing ship to inspire and engage with children and youth. 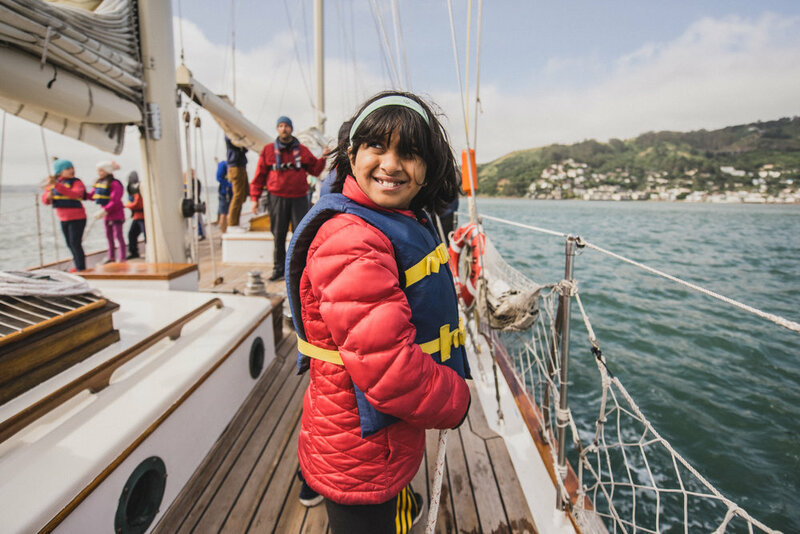 Based in the Bay Area, they bring student groups for part-day and overnight trips to experience being out on the water, learn basic sailing techniques, and explore other topics, from history to environmental issues. The organization works with at-risk youth as well as other school groups, serving multiple populations with enthusiasm and pride. 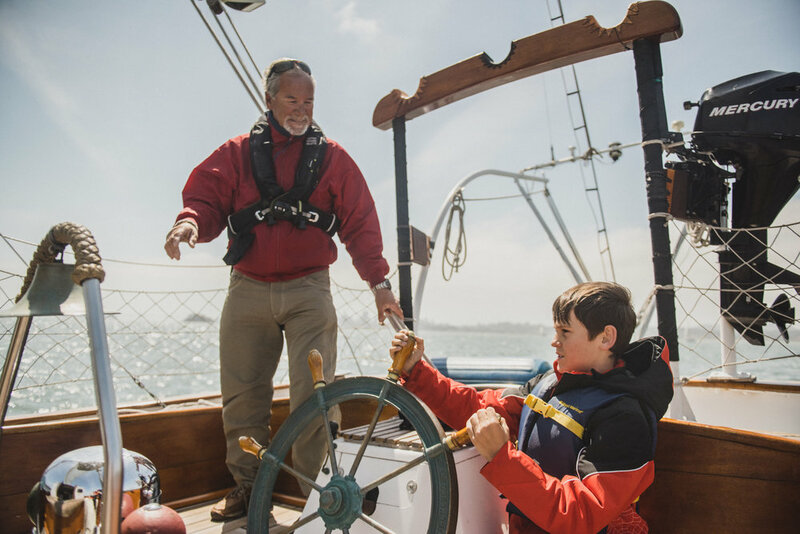 An average of 5,000 students sail on the 82 foot classic staysail schooner Seaward each year. Call of the Sea is currently building a brigantine ship, Matthew Turner, which will boast seven sails, a 100 foot mast, and 38 berths. 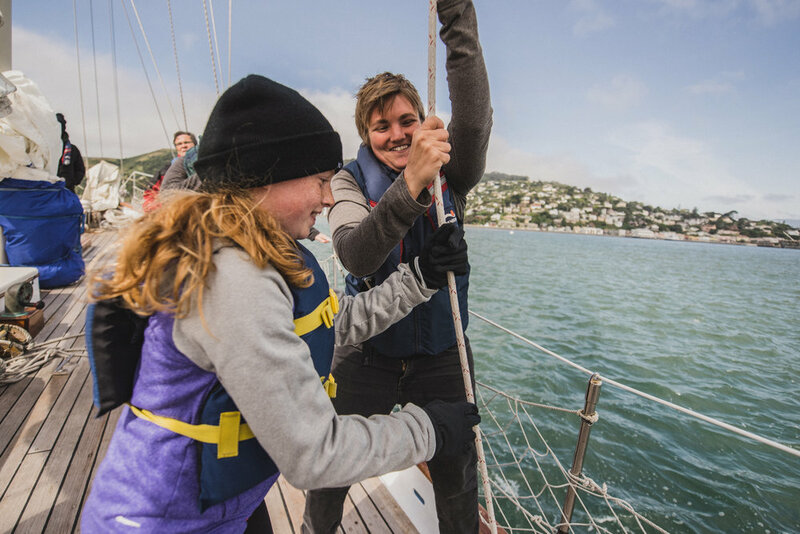 This larger ship will add to their mission of reaching a wider range of student groups for experiential education and a chance to experience this part of their surroundings. 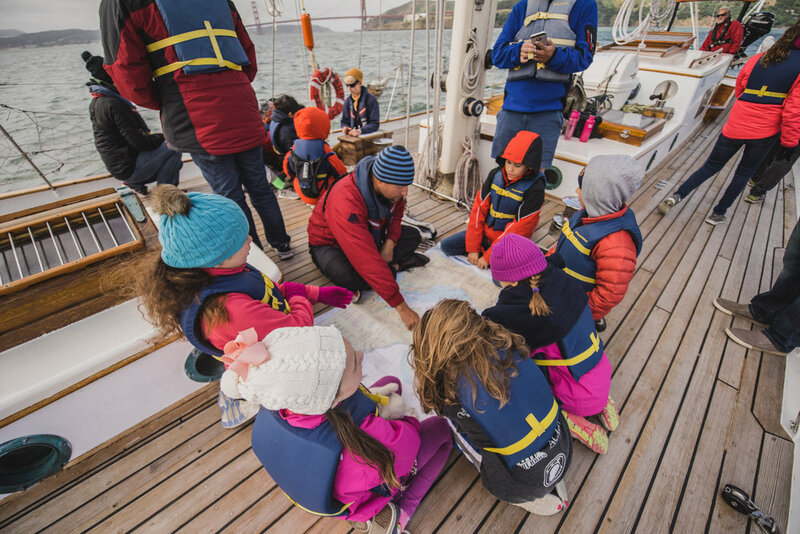 Experiential learning, which brings kids out of classrooms and into new and exciting contexts, fosters curiosity, intellectual engagement, and the empowerment of young people to expand their horizons. 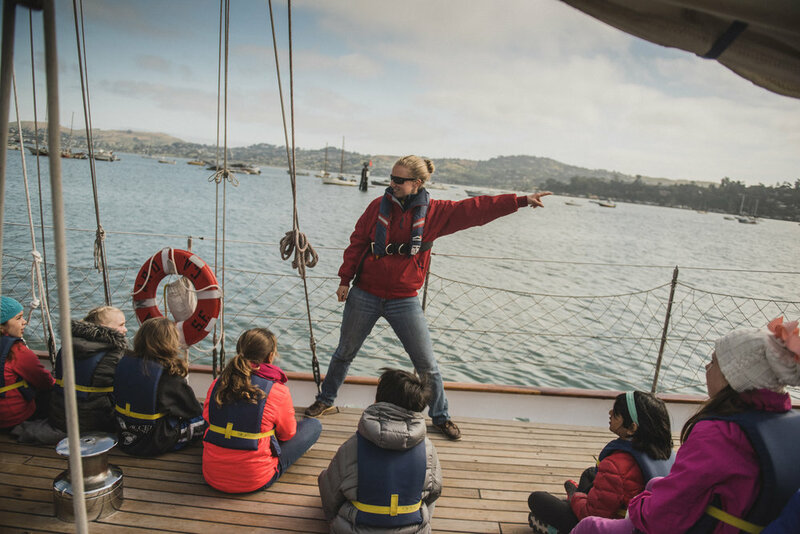 On the Seaward, students engage with science, math, history, and ecology as they sail around the San Francisco Bay. Participants work together to hoist the sails. 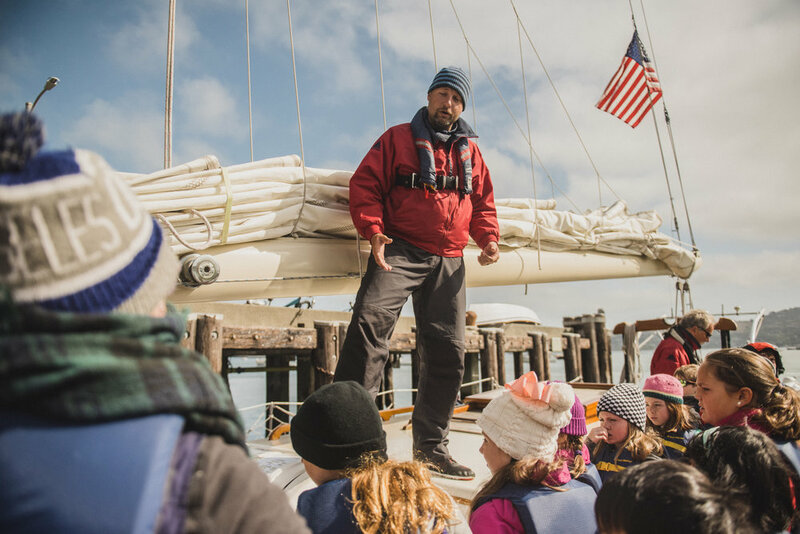 Stepping on board Call of the Sea’s sailing vessel Seaward means joining an ocean-going classroom. From the moment the 4th grade class joined us, they were surrounded by capable crew members who were not only navigating an 82 foot schooner, but also were utilizing every action and every moment as an opportunity to share lessons in seamanship, the history of the San Francisco Bay, and the impact of the nearby communities on the water and the people living and working there. Once we had navigated out of the dock and reached more open water, the structured lessons began. 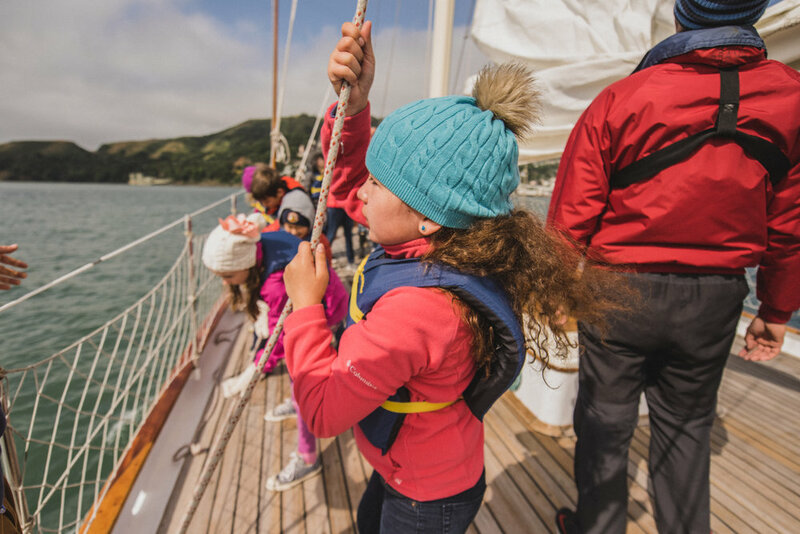 First, the full group learned about the parts of the ship, practiced their sea legs, and learned a bit about the ship. Then they were split into groups, given instructions, and then hauled away at the ropes to hoist the sails. That was a beautiful moment. WHILE UNDERWAY, THE GROUPS TOOK TURNS AT DIFFERENT STATIONS, LEARNING NAVIGATION, LOCAL HISTORY, AND PRACTICING THEIR SKILLS AS LOOKOUTS. What was particularly striking in these stations was the way that the setting deepened the learning opportunities. 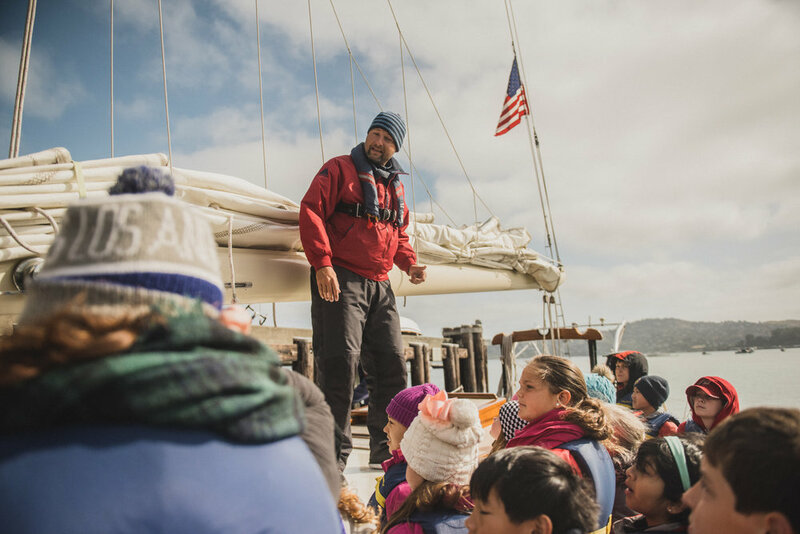 While sailing past Angel Island, the kids looked at the picture of a Chinese immigrant who was trapped on that island for years while awaiting permission to finalize his immigration journey. 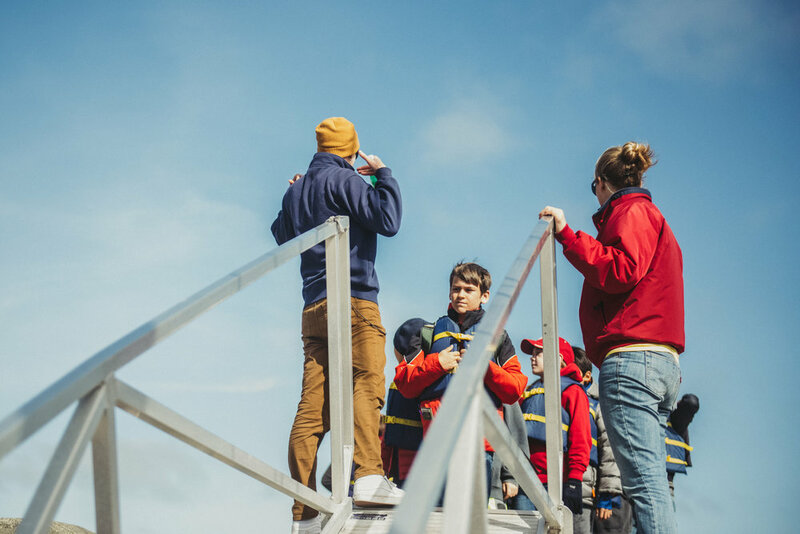 In the bow, the lookout group identified different kinds of ships and potential hazards, and then learned about weather identification. As the wind picked up, they measured the speed and called information back to the Captain. A navigation chart was spread on the deck, with the depth marked and the shipping channels made clear. The ship’s mate led them through a simple algebra equation, measuring speed by distance and time. 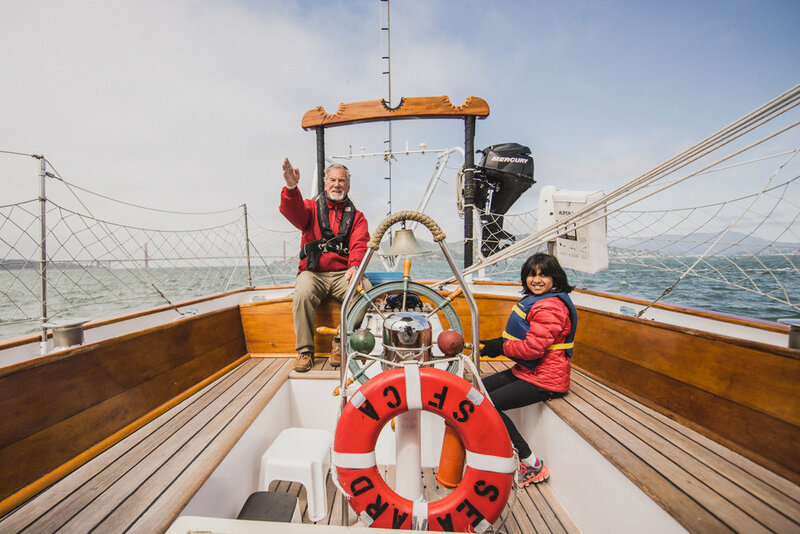 Seaward cruised past Alcatraz, capably maneuvered by a team effort of the captain and a series of kids taking their turns at the wheel. Captain Richard would instruct “two spokes to port,” and the student would shout “two spokes to port, aye!” And two spokes we would go. The day was sometimes windy and blustery, making the journey rougher. 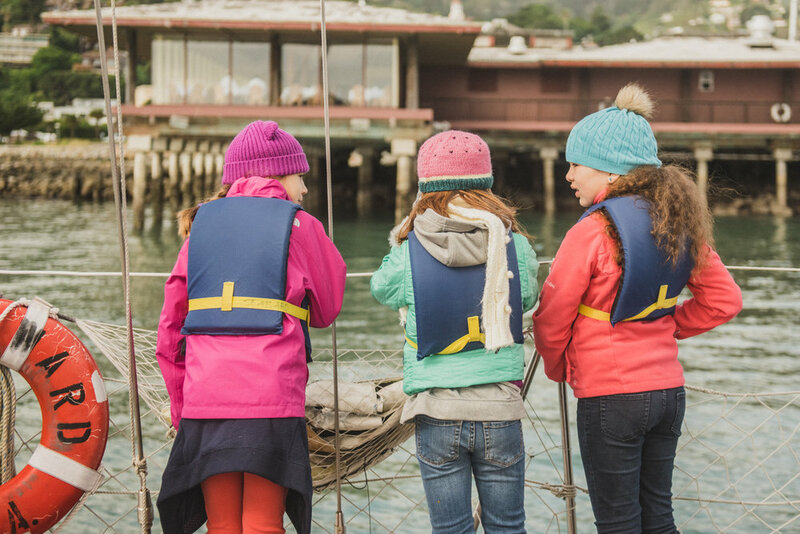 Crew members brought extra jackets, and in addition to the care the crew and the teachers showed the kids, they also did a remarkable job of looking after one another. The Seaward turned back toward the dock, and a crew member invited us all to have a few moments of silence. She asked us to use all of our senses to notice things around us, and to give our brains a rest from thinking about all of these new things. 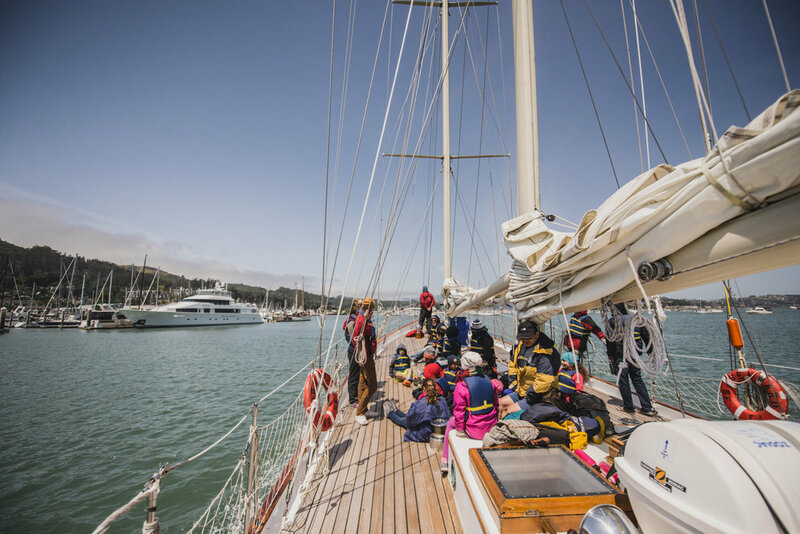 The 4th grade group settled onto the decks, looking out over the water and up at the sails and clouds overhead. Everyone was remarkably silent and still. When our silent time was over, we were asked what we noticed. One student saw a droplet of water with salt crystals in it. Another noticed the birds, and another the sound of the wind in the sails. All seemed grateful for the chance to pause and reflect. 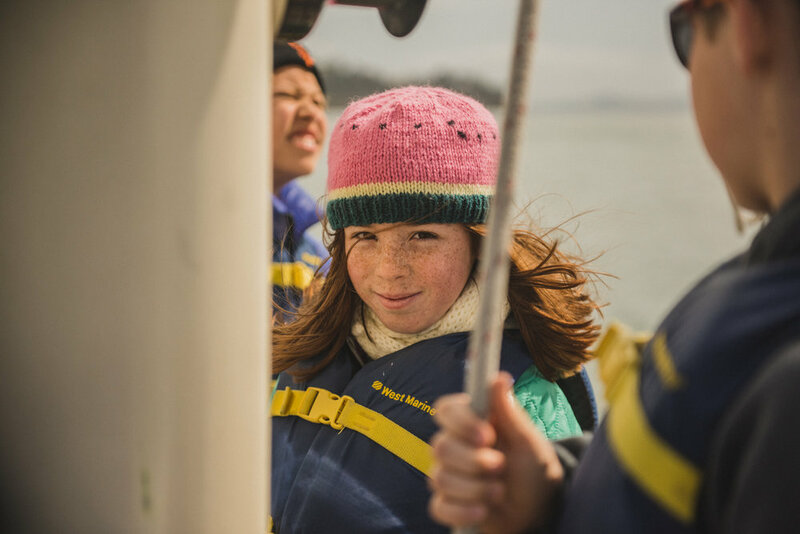 What we witnessed with Call of the Sea was a dynamic and diverse learning situation. We were invited to use math and science skills to understand navigation. We worked together to hoist sails and sit quietly and keep active. We observed the world around us, being invited to ask questions while learning both about the passing ships and about the natural and cultural history of the region. 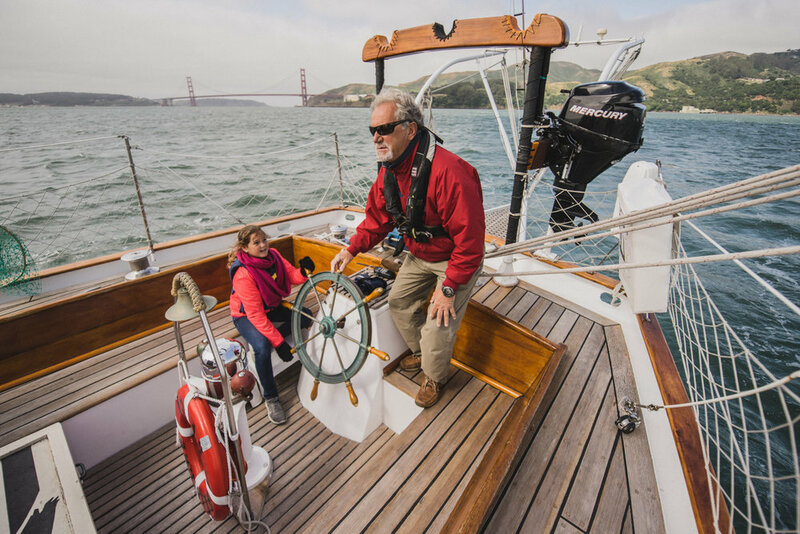 And for one bright May morning, we felt at home aboard the schooner on the Bay. Heave away!